Today is the 10th day of my AZ bible art challenge. Jephthah was another judge of Israel. Before he became a judge, his family disowned him because he was the son of a prostitute. Years later, when the enemies of Israel came, his father’s elders pleaded with him to help fight the Ammonites. But Jephthah had one condition, he will fight them if the Lord delivers them to him and makes him the leader of the elders. The elders agreed. As promised, the Ammonites came to Israel and were defeated through the Lord. Jephthah was ecstatic and have made a vow after capturing the land that once the Ammonites were defeated, he will sacrifice anything that comes to greet him when he returns home. Read on in Judges, to find out. Jephthah is actually one of my favorite judges. He is an epitome that God will use for His purpose, anyone who is willing to please Him and that is by faith. He was an outcast, but overall was not along because of his faith in the Lord. He is a man full of zest and strength due to his willingness to please the Lord, no matter how much it may hurt. 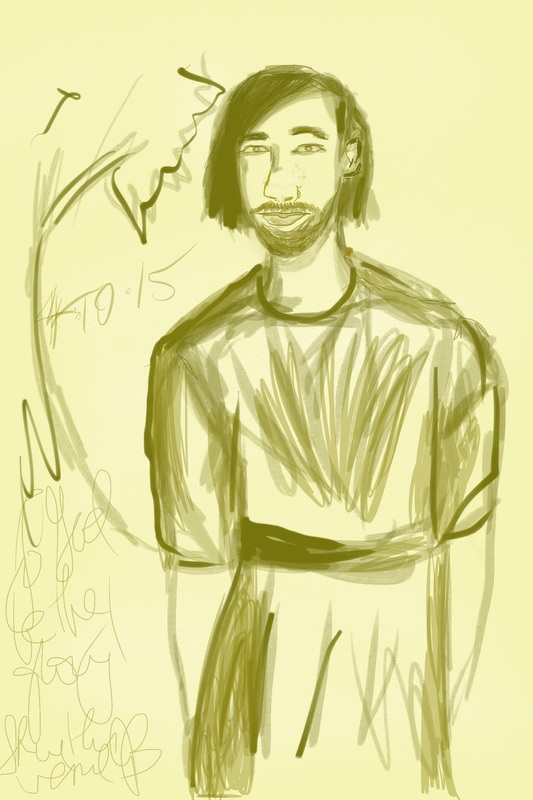 In terms of the drawing, I made Jephthah look like sort of an outcast with straight hair . The first time I thought he looked ugly and I realized there is a bias for me as an artist to make people look pretty, because there is a beauty in all of God’s creation. Anywho, even with that, there is still a bias when it comes to making portraits with limited descriptions. Overall, I hope you are enjoying this thus far. To God be the glory! Thank you. And thank you for stopping by. Yeah, I think for some artists are afraid of making ugly pictures. Hi, I am just over from A to Z! I am doing A to Z Scripture Adventure so naturally when I saw yours, I hopped right over! I am so glad I did. This has to be so much fun for you to choose a Bible character and then draw him or her! Excellent work and inspiration!